USA Swimming is very pleased to announce an exciting new program � the I.M. Xtreme Challenge . The IMX Challenge is a motivational program whereby swimmers will be scored and ranked nationally on their performance in a combination of five or six events. The purpose of the program is to promote versatility in age group swimming while advocating greater participation and development across a range of events that are integral to long term success in swimming. Swimmers will participate in a designated combination of five or six events and, based on the power points scored for each of those swims, earn a combined score that will be called the IMX Score. These combined scores will be ranked by single ages with rankings and recognition available on the USA Swimming website. Using Hy-Tek's Single-Year Age Group Power Points, all USA Swimming registered athletes earn an �IMX Score� based on the cumulative point total of the combination of IMX events for their age level. The overall IMX score, as well as the swimmer's current best score for each IMX event, appears on the athlete's My USA Swimming page for each season. As times in these events improve, the swimmer's IMX score is automatically updated. 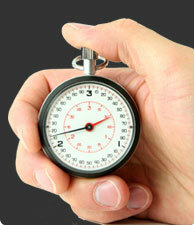 In order to receive an IMX score, a swimmer must legally swim each IMX event for their age level in a sanctioned meet at least once during the season. A swimmer's times will count for the entire season-so if a swimmer ages up during a season the IMX score on the My USA Swimming page will show a score for his/her lower age group and their new age group (example below). We strongly encourage swimmers who have not done so to create a web account to be able to access their personal My USA Swimming page! If a swimmer has already swum the event combo for his/her age level, the IMX score and ranking now appears in a special section of the swimmer's My USA Swimming page. The only place to access an overall IMX Score, as well as the swimmer's current best score for each IMX event, is on that swimmer's personal My USA Swimming page. Other features of this special page include a display of personal best times and corresponding power points, a list of meets participated in, a graphical display of times info, seasonal and lifetime best comparisons, in addition other member only features. 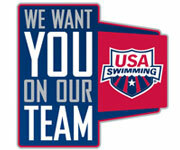 Click here to create a free web account and acces a swimmer's My USA Swimming page. Participation in this program is easy. Using the data available in the STAR database system, USA Swimming will automatically compute scores and results for all athlete members. Swimmers only need to compete in the IMX combination of events for their age group and they will be part of the program.